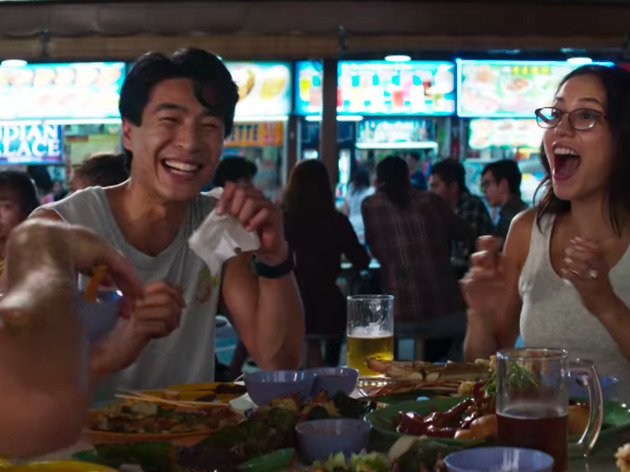 In the words of the revered Spice Girls, too much of something is bad enough – and that can be applied to the myriad of food choices in Singapore. 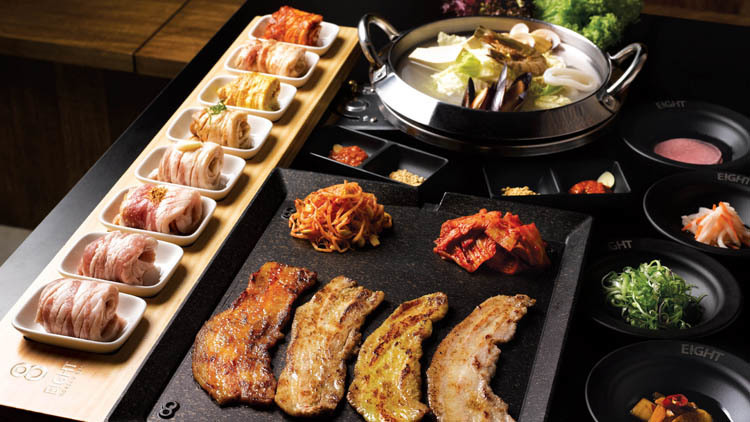 We’re spoiled rotten with options, which is why restaurants and eateries that focus on a single dish are so refreshing. 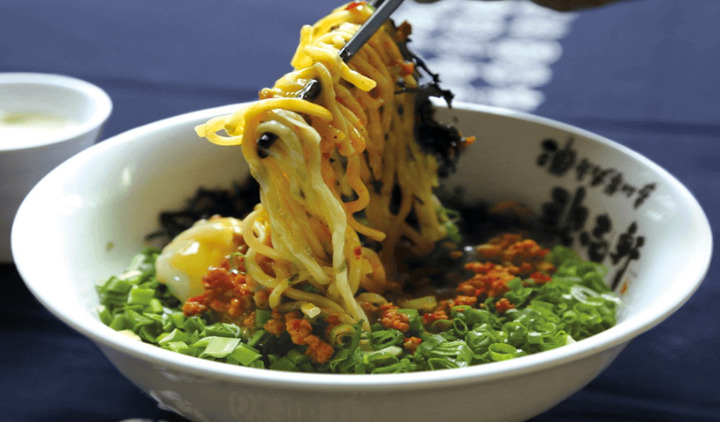 Narrow down your options and try these spots famous for that one thing everyone orders. We know what you’re going to say: “$12.80 for nasi lemak, seriously?” Well, say what you want but this store in Ann Siang Hill is thriving. 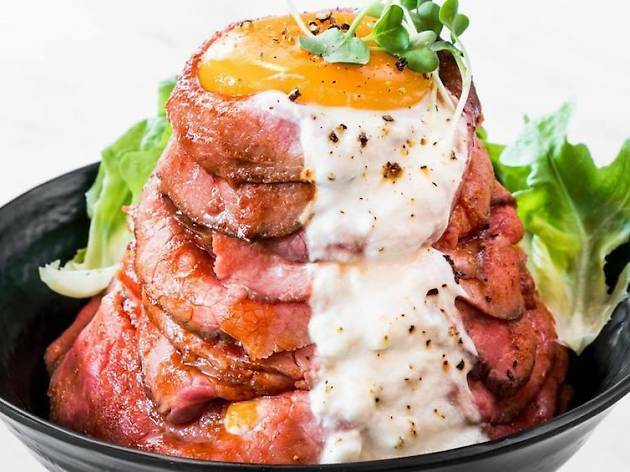 Head chef Lee Eng Su who trained at the French Culinary Institute (now known as International Culinary Center) in New York believes it’s all down to the ingredients. 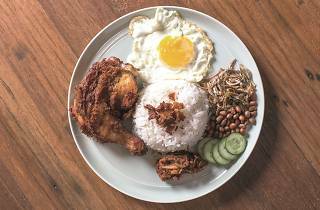 He spent years hunting down the best coconuts, rice, kampong chicken and even the rempah used for the chicken. Keeping up with the times, The Coconut Club also has no-carb and gluten-free options for those who subscribe to the healthy (and restricted) lifestyle. Knowing that everything on that dish is beautifully plated and curated to perfection is good enough to give it a chance, despite the price tag. Even the biggest unbelievers have to agree – especially after biting into that rempah-coated chicken leg. 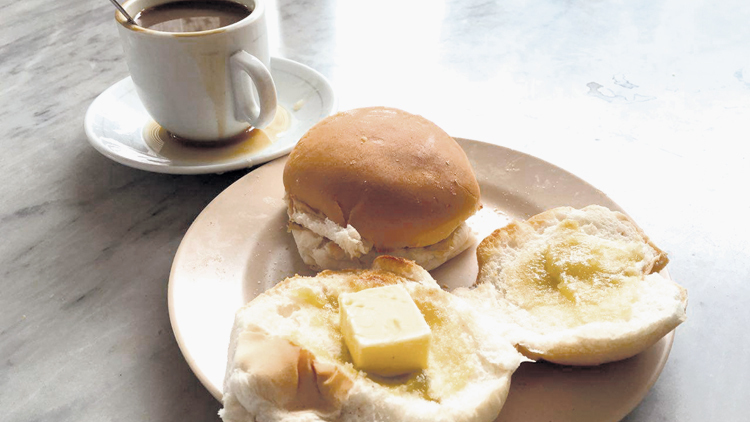 Who goes out hunting for specific kaya buns when the local breakfast staple is available everywhere? Singaporeans do, that’s how crazy we are. This respected east side establishment has been around since the 1950s, and absolutely nothing has changed. Not the mosaic tiles, not the wooden stools, not the marble-top tables, not even the steel cabinets the muffins and cream puffs are stored in. 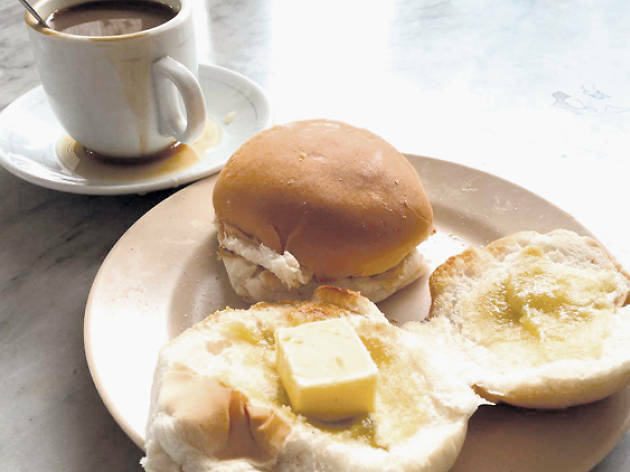 While generous on the slab of butter on the toasted buns, it’s the homemade kaya that pulls it all together. It’s not as creamy as other kaya but it’s thick and packed with flavour. Addicted? You can bet that we are. 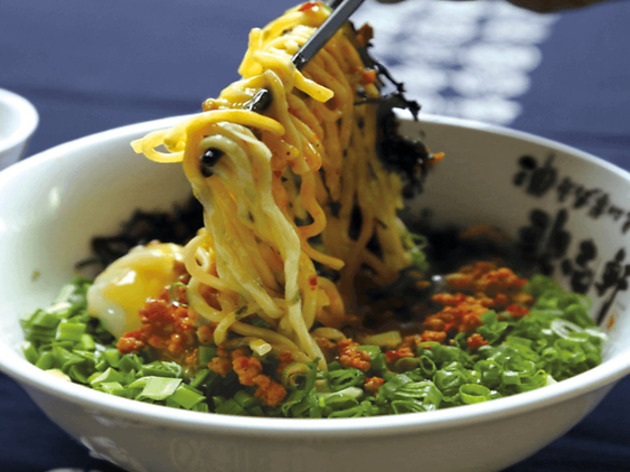 Public Service Announcement time: formerly located at BK Eating House on South Bridge Road, the famous noodle stall has moved to a stand-alone shop across the street amidst rental feud rumours. Standing firm, the OGs are serving up the real deal at their new 24-hour joint (take note that it’s closed on Sundays). 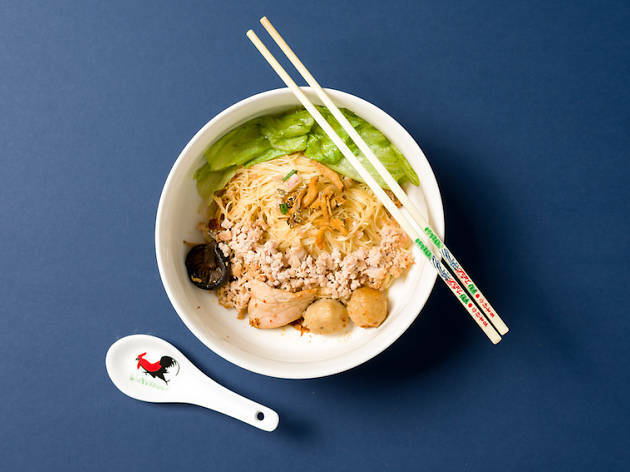 You can still get that bowl of handmade mee sua noodles with fishballs, meatballs and minced pork all doused in chilli, vinegar and soy sauce. Complete the dish by asking for extra crispy lard bits to top it off. 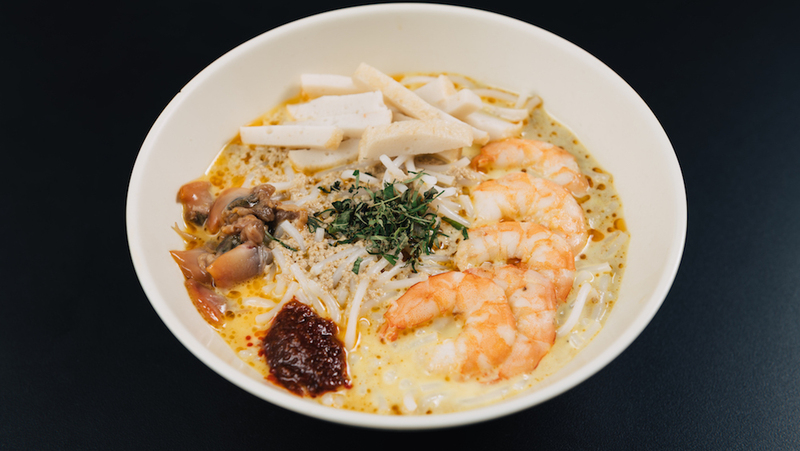 Also dubbed the ‘Original Katong Laksa’, this unassuming stall at Roxy Square seems unfazed by the surrounding competition trying to acquire that title. 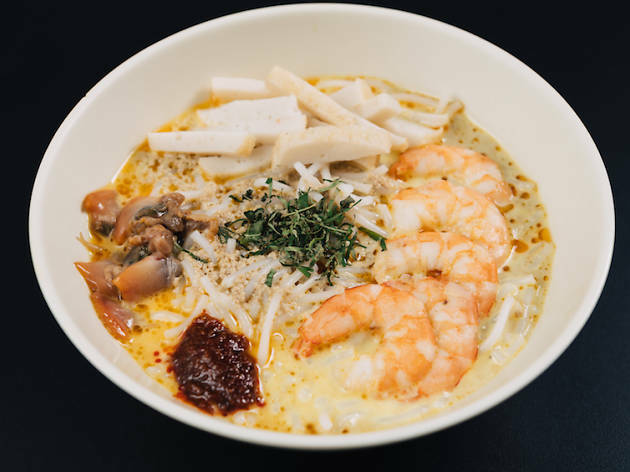 We’ll accept the story of how Katong Laksa came to be because of a man called Janggut, who originally sold laksa along the street in Joo Chiat at prima facie and focus on the food instead. 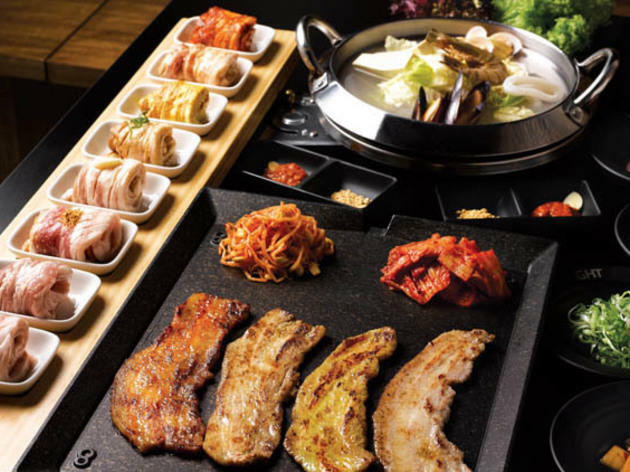 With just that one dish on the menu (save for a few add-ins), you can order a meal here without even uttering a word. First things first, this dish is not a looker but no one’s judging. Because the noodles are cut short (apparently a trend started by Janggut himself), you get an equal serving of noodles, shrimp, sambal and that robust gravy with every scoop. Located outside of Singapore’s central area, this store has been around for over 30 years and has moved around for a bit before returning to the same corner stall. 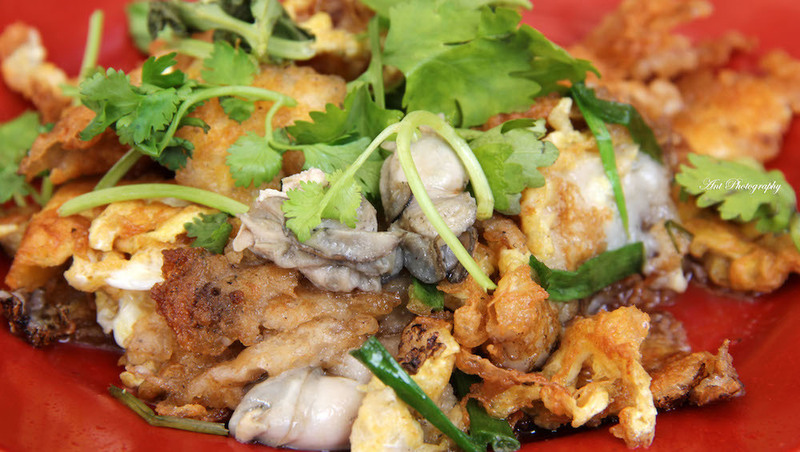 It was founded by the late Lim Seng Hong who used to cook the dish with flair and some pyrotechnics. These days, his son Lim Poh Pin helms the pan and boasts the same techniques his father used. 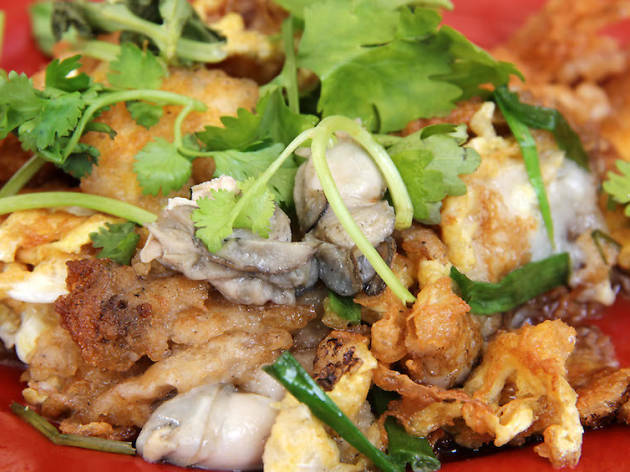 The wok is slightly tilted to drain the oil so the batter and egg can crisp up evenly before the oysters (perhaps the biggest you’ve seen) are added. 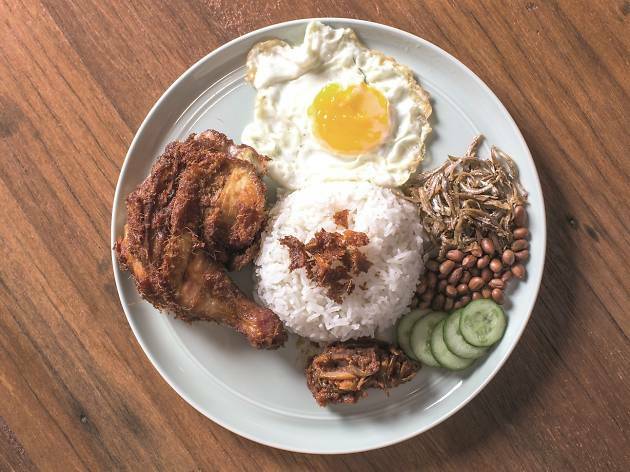 Get your plate of this perfectly charred treat at the very same coffee shop where it all began. 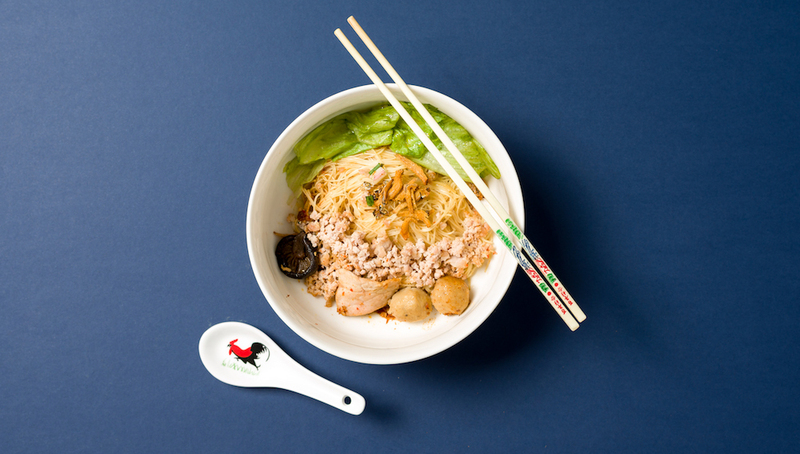 It’s been quite the journey for Gyu Nami as they move on from a humble stall in Amoy Street Food Centre to a stand-alone store in Orchard Gateway. 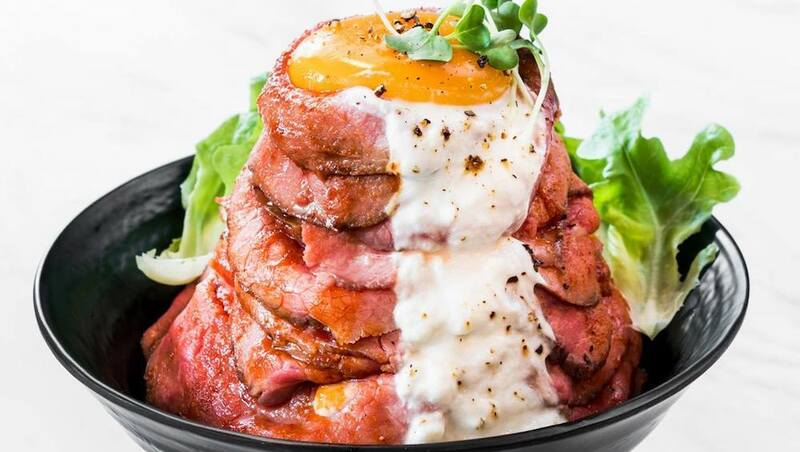 We’re predicting the queues will continue for that single dish on the menu of thin slices of roasted wagyu on a mound of Japanese short-grained rice doused in spicy sriracha sauce. To pull the dish together, a luscious sous vide egg is perched on top with a drizzle of tangy yoghurt sauce.